Got this about a week. Hanged 4 times when starting a program; turned phone function off by itself all of a sudden about 3 times... otherwise GREAT screem, GREAT keyboard, GREAT UI, GREAT sync, GREAT packaging, BAD support, BAD documentation, BAD after sale service, BAD wait time for help, BAD palmOne! They need to TEST THIS THING first before releasing it. An even better Treo 600, Bluetooth and 320x320 pixel touchscreen in 65,000 colours screen makes the 650 the perfect business PDA. 2nd day with the phone. It is not yet activated. But, from what I can tell it's awesome. It's easy to get used to, button lay out is good, wonderfull phone. And memmory is no problem. I bought a 152 MB card off ebay for 16 bucks, so if you don't like small memmory, go ebay. Wonderfull little phone. I had the SE P900,P910 and now I have the treo 650 and I can tell you this is the best phone ever. I just one to say that this is by far the best phone. I have had the nokia 7710, SE P900, SE S700, SX1, Samsung D500 the screen broke by it self and a liquid start coming from the screen I don't know how. To be honest the treo 650 is a very comfortable phone and has everything I need and more. This is a kickass phone. I went ahead & bought the CDMA version & couldn't be happier. I was going to wait for the GSM version but I just couldn't wait, and now I'm glad b/c Sprint's data is much faster & they doon't have near as many problems as Cingular does. The GSM model IS buggy & has a lot of problems. It was rushed out before it was thoroughly tested & I know many people who are on their 3rd & 4th Treos b/c of all the problems. So even though this is GSMarena, I suggest the CDMA Treo. I've had some bugs & random resets, but most problems are due to software incompatibility. Some software doesn't mesh well with the new filing system this phone implements. Oh- for previous Palm users- DO NOT sync your old Palm's data on to the Treo, it will crash hard & fast. Install programs one by one to ensure compatibility. Nothing's worse than getting stuck in a reset loop b/c of bad software & having to hard reset. Anyway- this phone has the best web browsing capabilities I've ever seen. It's fast & thorough. Call quality is superb, I've had only ONE dropped call in the entire MONTH that I've had it!!! Earpiece volume is loud enough that I have to turn it down most of the time(a first for me), and the speakerphone works great & is plenty loud. I havent really used any headsets so I can't comment on that yet. SMS is really neat- the Treo turns your msgs into a sort of chat window where you can view what the other person says & then what you say just like in a chatroom. There's really too many great features to describe so I'll just say it does just about everything awesomely. Bottom line- this phone gets a 98% on the phone test. It's lacking in some areas(NEEDS MORE MEMORY!!! 32megs, WTF?) but for the most part it's a serious winner. A sheer delight to use for both businessfolk & simple gadget geeks like me. 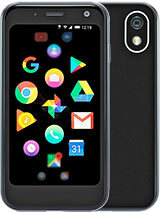 If you get this phone- be sure to buy a case for it. It is small & slippery & if you are the slightest bit butterfingered you WILL drop it. I bought a pink silicone skin off eBay & I have not dropped mine since. One last thing, a tip- many people complain about the keyboard & the keys being too small. I found that even though I have petite feminine hands, typing was a big problem for me since I type with my thumbnails. The keys are hard plastic & have no 'grip' to them, making it very easy to slip & hit two keys at once. If you have this same problem, do what I did- Go to WalMart & buy 1/8 yard of clear upholestery plastic(usually 98 cents a yard). Cut it to fit over the keyboard & tape it on so that it is stretched over the keyboard(make sure the tape doesn't extend over the battery cover). This will protect your keyboard from renegade droplets of liquid & also give the keys some grip. I type twice as fast now. BTW only do this if you have a case that covers up the tape, or else you'll look stupid with tape & plastic all over your phone. Hope you enjoyed reading yet another of my long-winded reviews, and if anyone has any questions about this phone, feel free to ask me! Does anyone know when GPRS is in use in the GSM version, say, surfing the web, will phone calls still come through? The Keyboard take 2 days to get used to, then it is perfect!!! Love it! Thanks Palm! Works with my Linux Desktop!! PS. don't get a carkit... use a bluetooth headset! whats a bluetooth dial-up modem? The Treo is the most mature smart phone, get it if you want the least problems. Also it's the most cross platform smart phone.. supports both MACs and PCs. Mac users... don't even blink.. better interface than wondows mobile, can isync. Unfortunately not all Symbian phones do not support isync. Check apple.com/isync for a list of devices. If you want to use the Treo as a Bluetooth Dial Up Modem for your Mac portable, wait for the TMobile Treo650. The Cingular Treo 650 is crippled and cannot act as a Bluetooth DialUp Modem without purchaSing $pecific extra data plan$$$.